Melt the coconut oil in a small pot on the stove, adding the pitted dates, ripped in half or more to soften. 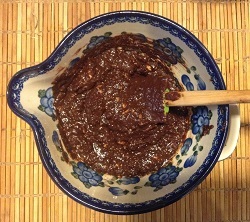 In a high speed blender, blend the oil, dates, cacao, lavender flowers, and salt until smooth. Add the nut butter and blend until incorporated. Chop or pulse nuts coarsely in a food processor (or in some other way). 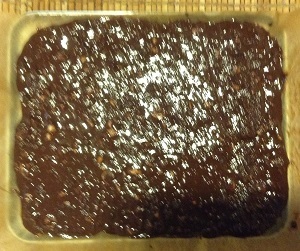 In a bowl, stir chocolate mixture, nuts, and currants together. It will be a thick, gloppy batter. 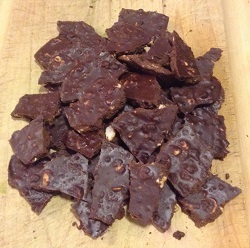 Spread the chocolate on a parchment paper-lined tray you can fit in your freezer. I like to spread mine about ¼ inch thick, but do this as you please. Freeze for 15-20 minutes for ¼ inch. Break up into pieces and enjoy!